Finding herself down on her luck, Jancy Wilson ends up stranded in the small town of Pick, Texas. When she comes across the quaint Strawberry Hearts Diner, she is reminded of the idyllic time she spent in the town as a teenager – and the diner’s amazing strawberry tarts. Having led a largely nomadic life up till then, Jancy is sceptical to make a home in the small town even as she feels drawn to it. 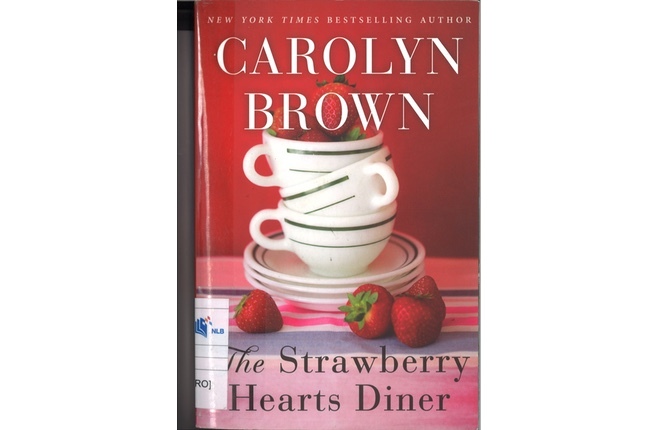 The Strawberry Hearts Diner is a romantic and sweet story about the journey in finding one’s self. As we travel with the town’s quirky characters, it doesn’t take long for us to be swept up in their lives and enticed by the small town charm. At her best when writing about the nuances of family, friendship and romance, Carolyn Brown brings us a lovely read that is worth checking out. Reviewed by Renu Siva, National Library Board (NLB).